Arrive at Da Nang airport. Picking up and transfer to Hoi An ancient town. Overnight in Hoi An. Visit Japanese Covered Bridge, Chinese Assembly Halls, Sa Huynh Museum, old houses and the local market. Then take a riding on bicycles to Tra Que vegetable village. You can experience the living and working of local farmers at this organic vegetable and herb garden. 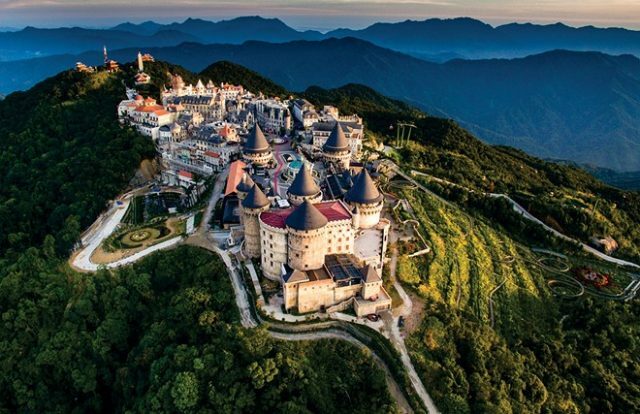 Transfer to Ba Na Hills Station. You have a chance to ride on a modern system of cable cars. 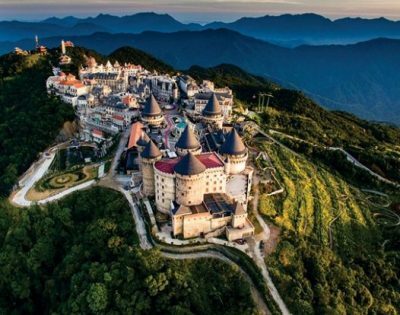 Visit some old French villas en route, as well as the suspension bridge, Nui Chua & the Mountain Peak (at the height of 1,487m). Then visit the Fantasy park and Golden Bridge. Depart for Hue via Da Nang. On the way, visit Lang Co Beach. Over Hai Van Pass – to enjoy the wonderful panorama from the top of the Pass. 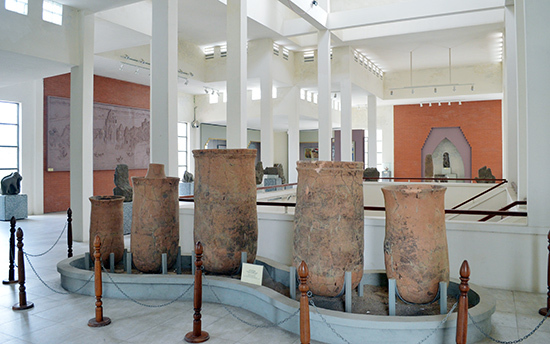 The Royal Mausoleum of Nguyen’s Kings, conical hats village and incense stick making village. Early morning, depart for Dong Hoi via DMZ of Quang Tri, The Macnamara Line, 17th Parallel, Ben Hai River, Hien Luong Bridge. Visit Phong Nha Caves and enjoy the wonderful sights of this cave. You will stop to visit Cung Dinh cave, Tien Cave and Bi Ky Cave with beautiful limestone formations. Take dragon boat trip to visit Thien Mu pagoda, visit Imperial Citadel, Hue Royal Antiques Museum, Dong Ba Market. 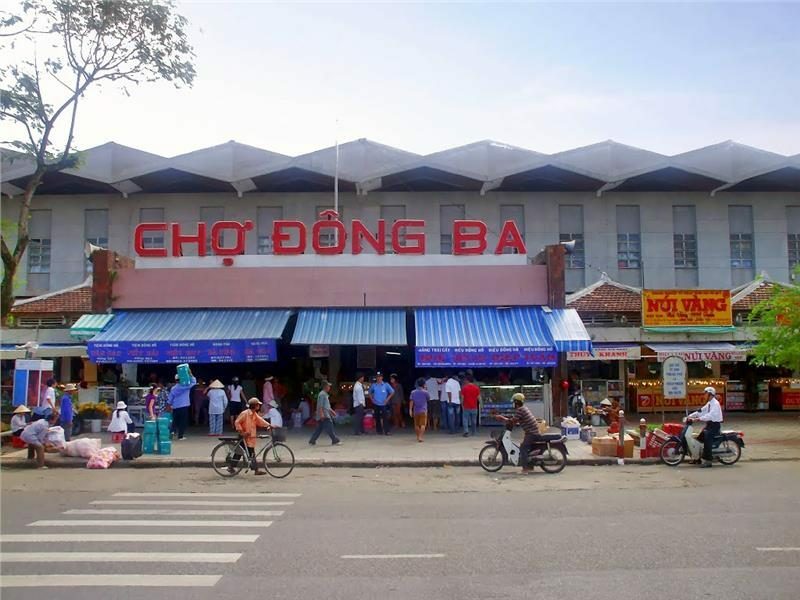 Arrival to Da Nang airport, pick up and transfer to Hoi An ancient town. Overnight in Hoi An. 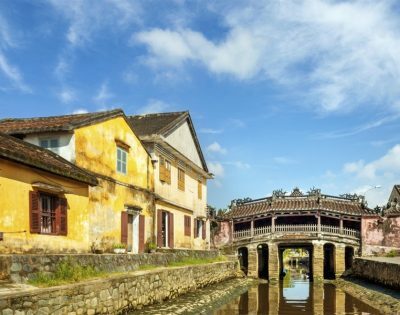 This morning, you will make a walking around old streets to discover the charm of Hoi An Ancient Town including Japanese Covered Bridge, Chinese Assembly Halls, Sa Huynh Museum, old houses and the local market… Hoi An is an ideal for shopping and making tailor with reasonable price. 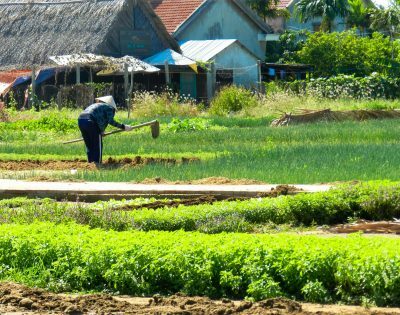 Then take a riding on bicycles to Tra Que vegetable village far from Hoi An ancient town 3km. Biking through peaceful villages and enjoy the beauty of countryside surrounding Hoi An. Arrive in Tra Que Vegetable Village you can experience the living and working of local farmers at this organic vegetable and herb garden. Your learn how to prepare soil, grow vegetable, water to get fresh vegetables as you see at the garden from previous tourists. You have 15 minutes foot massage by herb to fresh yourself. Biking back to the town. The tour ends around 16.00. Overnight in Hoi An. 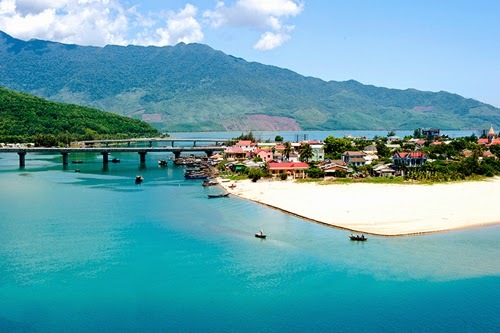 At 8:00 am, pick up at your hotel in Hoi An and transfer to Ba Na Hills Station. You have a chance to ride on a modern system of cable cars helps you get a bird’s-eye view, very miraculous and attractive while enjoying a feeling of flying in the blue sky amidst the clouds and wind. You will visit some old French villas en route, as well as the suspension bridge, Nui Chua & the Mountain Peak (at the height of 1,487m). Depart for Hue via Da Nang. Stop over at Lang Co Beach. Over Hai Van Pass – to enjoy the wonderful panorama from the top of the Pass. In the afternoon, the time for exploration of Royal Mausoleum of Nguyen’s Kings. You have chance to visit two of six tombs still remain as original architecture. 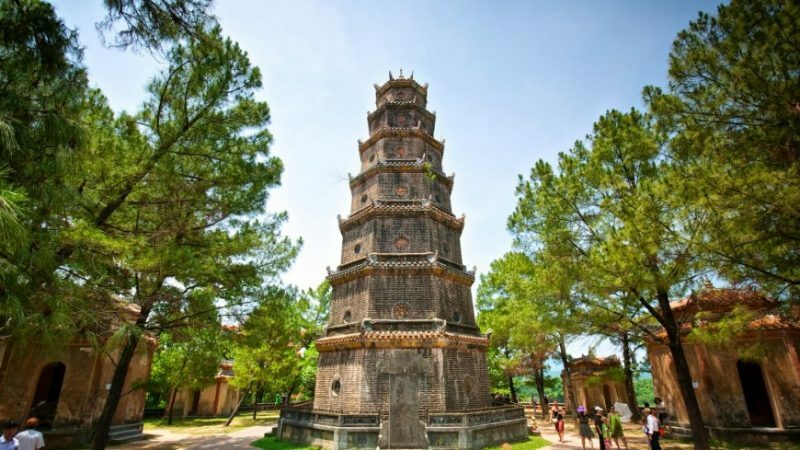 Khai Dinh tomb is a blend of Western and Eastern architecture while Minh Mang tomb is impressed by the majesty and symmetry of the architectural constructions. Stop on the way to see conical hats village and incense stick making village. Overnight in Hue. At 6:30 am, our guide and driver pick you up at your hotel and leave for Quang Binh Province. Phong Nha cave – UNESCO recognized as a World Natural Heritage. On the way, you will pass DMZ of Quang Tri, The Macnamara Line, 17th Parallel, Ben Hai River, Hien Luong Bridge. On arrival Phong Nha, have lunch at restaurant. 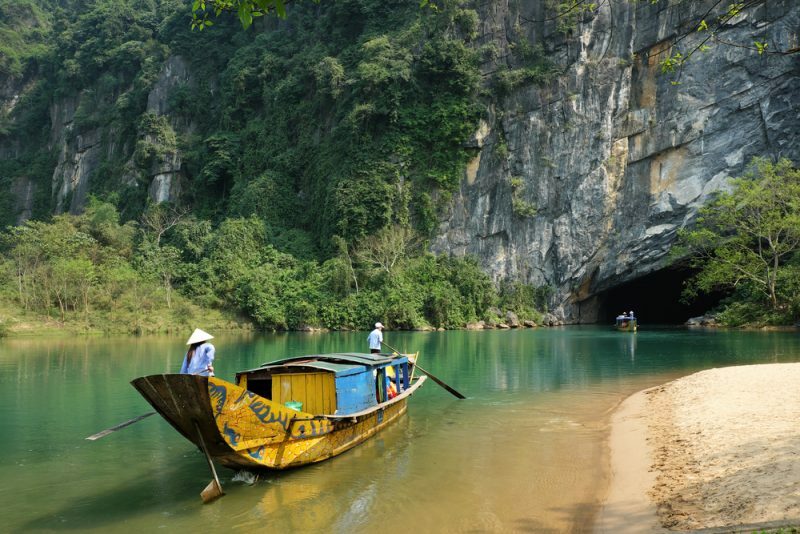 After lunch, you will take a boat along Son River pass through river and forest to Phong Nha Caves and enjoy the wonderful sights of this cave. You will stop to visit Cung Dinh cave, Tien Cave and Bi Ky Cave with beautiful limestone formations. Return to the dock and return to Hue city. Arrive to Hue city around 19.30. Overnight at in Hue. This afternoon, transfer to Hue airport. End of your beauty of Central Vietnam 6 days. VIEW MORE: "Hue Packaged Tours"